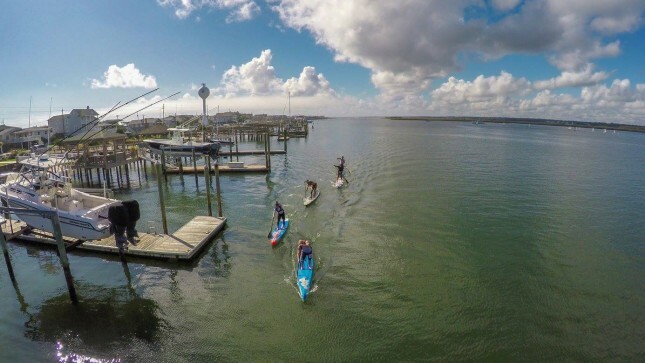 Tommy Buday Jr has won the Surf To Sound Challenge in Wrightsville Beach, North Carolina, as Canada’s canoe specialists swept the men’s podium. In foggy conditions, Tommy defeated fellow Canadian Olympic representative Larry Cain in a reversal of the results from 12 months ago. Local gal April Zilg took out the women’s race, going one spot better than in 2014. The men’s podium became an all-Canadian/all-canoeing affair after another Olympic sprint canoer, Gabriel Beauchesne-Sevigny, finished 3rd. Mike Tavares took 4th and Kevin Rhodes 5th. Looks like the top five were in a pack mid-way through the race but split towards the end to finish in roughly one minute intervals. On the women’s side, Stephanie Shideler and Tracey Finlay rounded out the podium behind April. The Surf To Sound Challenge is held in the same spot as the famous Carolina Cup, and the main 6.5 mile race is basically a half-lap of the Cup’s Elite Graveyard Course. Competitors start on the ocean side and paddle around to the inlet (the ‘sound’), which gives the event its name. There was also a 4 mile race around Harbor Island, similar to what we see in the Carolina Cup open race. 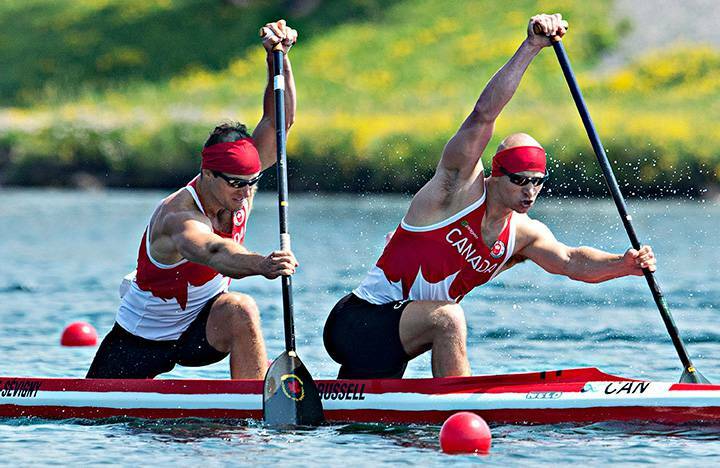 On Sunday there was a “Flatwater Championship” race, which took place entirely inside the protected “sound” and which once again saw Canada sweep the men’s podium. However this time the top three were reversed, with Gabriel taking the win ahead of his elder compatriots and proving that he’s yet another ‘name to watch’ in the near future. GBS made the final of both the 500m and 1000m in the C2 discipline at Beijing in ’08. He missed a spot at London 2012 but finished 4th at the world champs in both 2013 and 2014, and is now trying to qualify for the Rio 2016 Olympics. So there you go: Jimmy Terrell, Larry Cain, Tommy Buday and now Gabriel Beachesne-Sevigny. 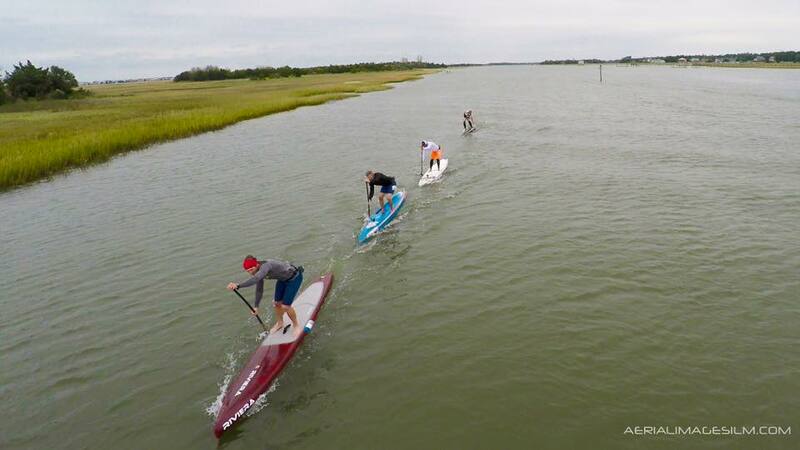 The rich history of Olympic sprint canoe paddlers crossing over into SUP continues. Oh and just for good measure: Tommy’s brother and Olympic C2 partner, Attila Buday, finished 6th, just one second behind 4th place, in what was probably his first international SUP race. 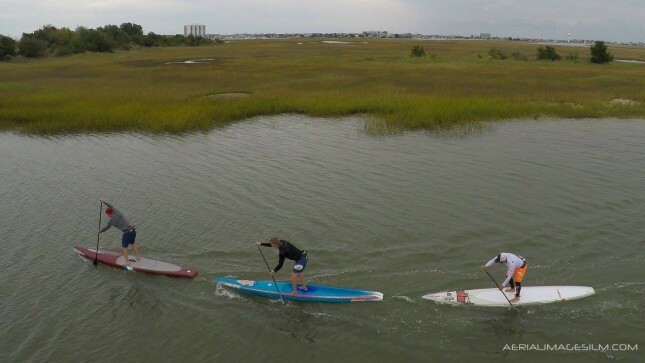 If you want to know more about the crossover between sprint canoe and stand up paddling, or if you just want to be a better paddler, period, take a regular look at Larry Cain’s excellent training blog. 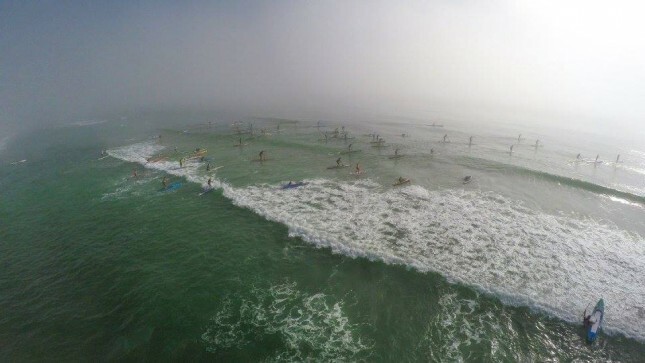 Surf To Sound looks like a great event, with an interesting mix of conditions in one of the coolest little SUP meccas you’ll ever be lucky enough to visit. If you missed this year’s race, pencil it in for November 2016 or simply just book a ticket to the 2016 Carolina Cup. Hundreds of pics from the race up on the official Facebook page, including some great aerial shots from Aerial Images ILM. There’s a quick recap and plenty more photos over on Distressed Mullet (mullet man John Beausang is one of event founders).